Barely eighty years ago Spitsbergen was the Arctic end of Europe where only the polar bear reigned supreme. A century later, he shares his icy empire with a town of seasoned Norwegians and the rare tourist who ventures this far north. The Svalbard archipelago, of which the largest island is Spitsbergen, lies midway between Norway and the North Pole. Any traveller looking for Arctic sensations will easily find them here (just one comfortable SAS flight away from Oslo or Tromsø). Everyone reaches 74° north, but you have to be a bit more intrepid to reach 81° latitude. 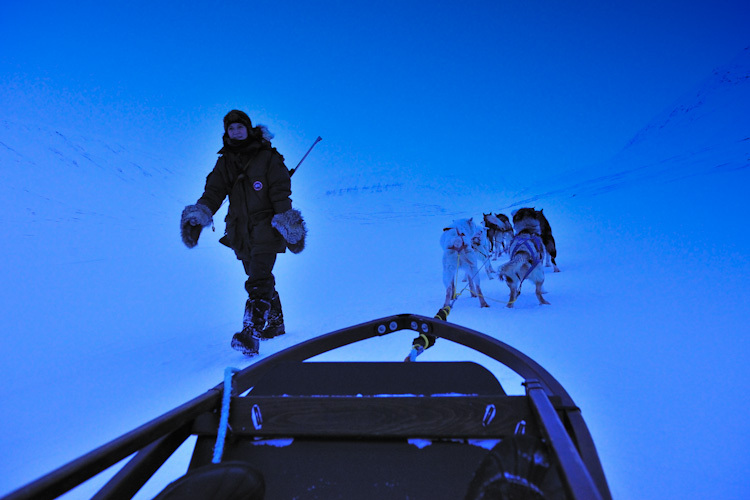 A few centuries ago, the only visitors to Svalbard were whalers and hardy fishermen. Today it’s seen as one of the most strategic places on earth. This is Europe, part of Norway, but on one side Svalbard faces Russia, and the North Pole is lurking just around the corner. NASA has installed one of its most important radars on Svalbard to closely track its satellites as they shear past several times a day on their orbit of the planet. Oil may soon be discovered here, and when that happens, Svalbard will be quickly swallowed into The New North Alliance of far-flung, northerly countries that are steadily gaining in importance. 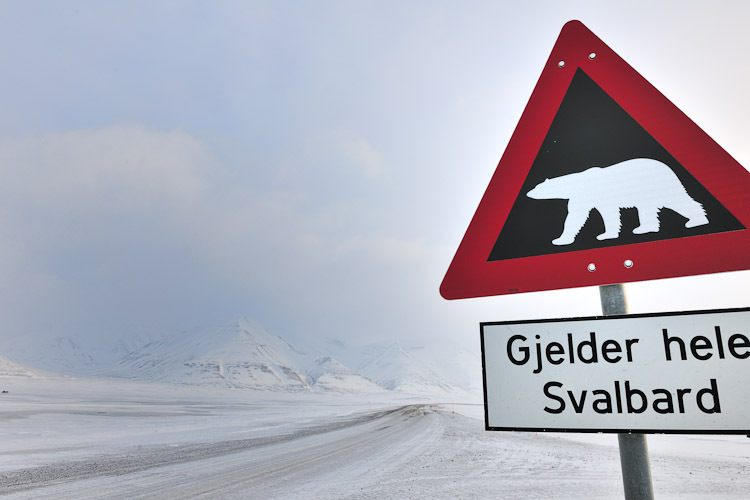 Fortunately, this isn’t happening yet and for the visitor, Spitsbergen is still a white, deserted and tranquil paradise. Ideal for snowmobiling, husky treks to remote radio stations, skiing, tracking polar bears and of course enjoying the Northern Lights. The best months to travel to Spitsbergen are the winter months when the island is wrapped in a constant light of Arctic blue. 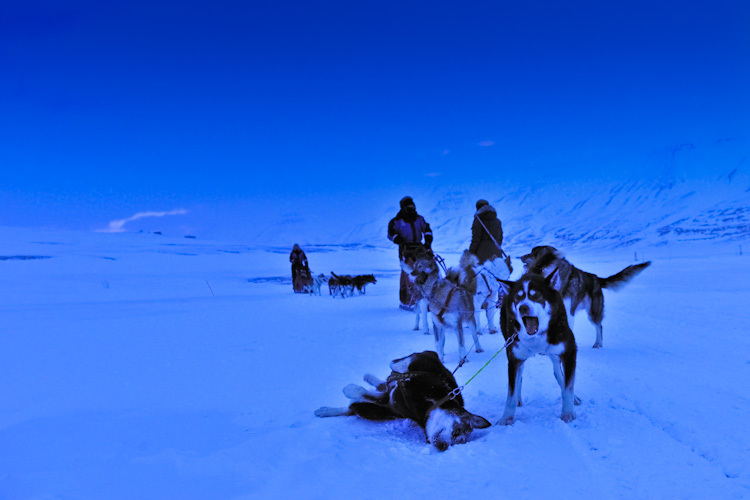 From January until the beginning of March the sun gives way for the enigmatic blue light of the Polar Winter. For those who’ve always wondered what the hell there is to do on an island hidden deep inside Europe’s freezer compartment, pack those warm clothes, and follow the compass north.